Trainer James Cummings has confirmed a Winx Stakes start for Group One winner Kementari. James Cummings insists his stopwatch and not a stablemate’s untimely setback is the reason for Kementari’s early spring detour to include a clash against Winx. Cummings had dual Group One winner Alizee ready to take on the world’s best racehorse in the Winx Stakes until the mare bled from both nostrils during trackwork this week. Under Australian rules Alizee is banned from racing from three months and she will miss the spring carnivals. 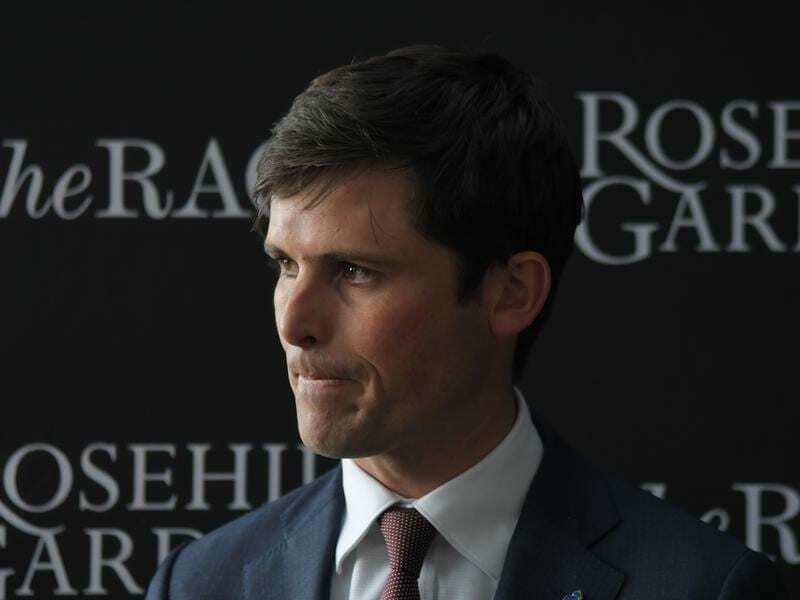 Cummings said Kementari’s late addition to the Randwick entries was more reflective of the entire’s training instead of a pressing need for Godolphin to have a replacement runner in the first Group One race of the new Australian season. “It doesn’t really work like that. There’s no correlation (between the circumstances),” Cummings told radio station RSN927. “Just coming off the gallops on Tuesday morning we just had to give ourselves the opportunity. Kementari resumed with a fast-finishing second in the Missile Stakes over 1200m at Randwick and Cummings had planned to target the Memsie Stakes next month without giving the four-year-old another start. “After I watched him gallop yesterday morning, I just felt more and more that it was going to be too long to wait for the horse to race a month between,” Cummings said. Kementari has met Winx once in a 12-start career that reached a high point with his Randwick Guineas victory. A fortnight after that Group One success, Kementari finished third to Winx when beaten 1-3/4 lengths in the George Ryder Stakes. It’s by no means an insurmountable margin to make up as Winx chases her 26th consecutive victory in a race that honours her greatness. Winx has won the past two editions when the race was known as the Warwick Stakes but she was given an almighty fright last year after missing the start. She fared marginally better than Kementari in the barrier draw on Wednesday, coming up with gate five of 11 acceptors as her expected main rival drew two stalls wider. It’s not enough to stop Cummings from daring to think of the impossible. “I’ve got great respect for all opposition in the race but when it does come down to it we just feel like he’s a sporting chance of giving her a scare,” Cummings said.